Again, as with the RTS formula, you can't build without gathering resources and spending gold. Early on, quests will give you enough resources to build your buildings. 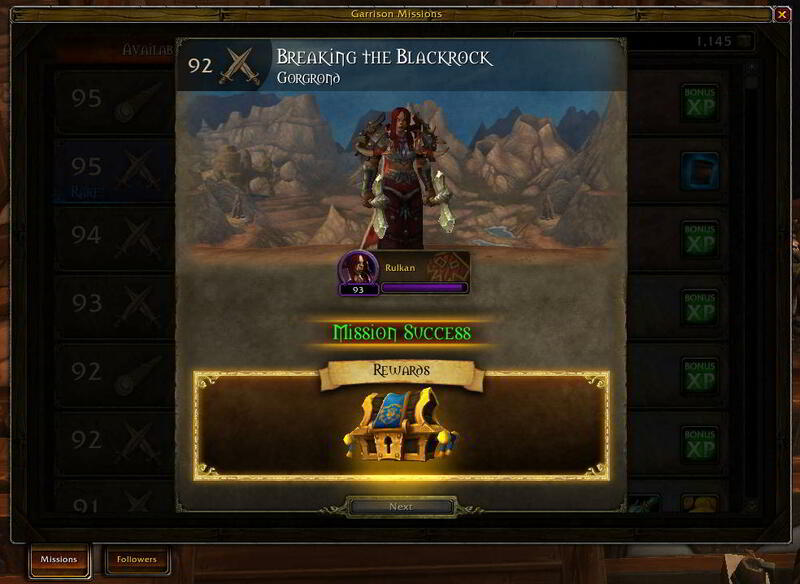 Killing rare monsters in the wild will also give resources, but eventually you will need to start producing your own resources to have enough spending power to upgrade your whole garrison to Tier 3. Keep in mind that here, resources are not gold through mining. Your mine does not serve that purpose. It's gold through questing, and resources through quests, kills and just normal base operations. 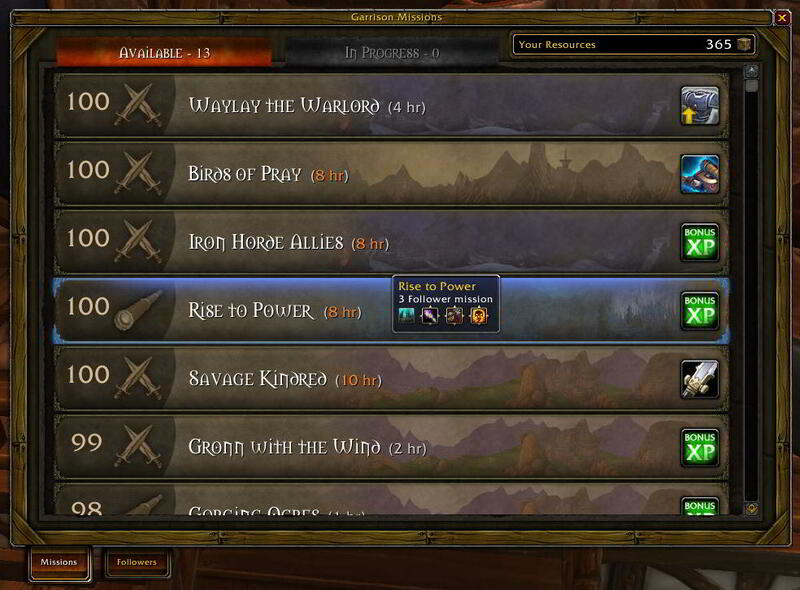 There are even some missions for followers that reward resources. However, as you progress you will need more resources, and you will eventually be able to build two structures within your base for pure resource purposes: the Lumber Mill (hey, that sounds familiar), and the Trading Post. The lumber mill will allow you to cut down trees throughout the world. Upgrading the mill lets you cut down bigger trees for more lumber. As if the comparison wasn't already obvious enough, the lumberjacks for the small trees even use some of the same sound files ("ready to work," "off I go then") as the peasants and peons from Warcraft 3. 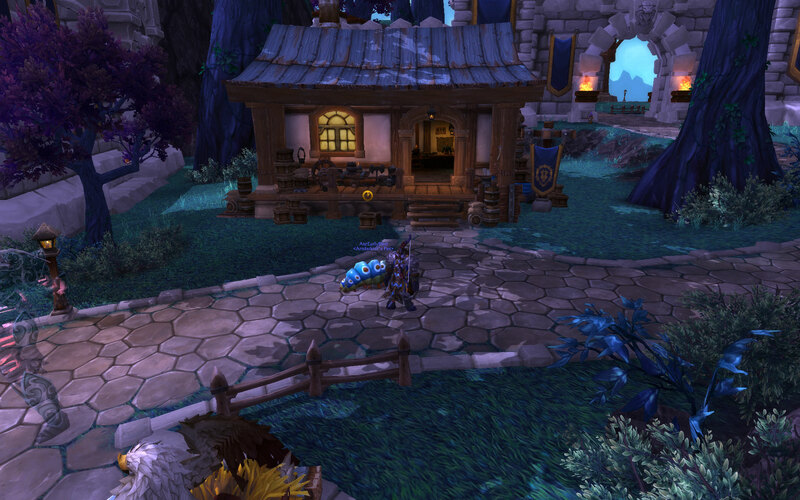 The other building is the Trading Post, which allows you to convert items that you have gathered -- such as ore, herbs or profession materials -- into base-building resources. You get 20-30 resources every three hours, as long as you have submitted the work orders to start the process. So while the definition of resources is a bit different here, the concept is basically the same. So getting a strategy early so you don't run out of resources is still just as important as in an RTS. Upgrading your Town Hall to Tier 3 requires 5,000 gold and 2,000 resources. Large building require 900 gold and 1,200 resources. Oh, and the blueprints to build the new buildings will cost between 750 and 1,500 gold. I think I have found or recruited most of the followers in the beta at this point across all my characters. It has the same mystique as gathering pets, except these followers can get an instant boost through the luck of a random upgrade roll when you add the follower. An uncommon follower can become a rare or epic follower instantly if the random number generator is kind. As with the hero units in an RTS, each follower has special abilities and traits based on their class, with other random abilities and traits added when they progress at level 100 from uncommon to rare to epic. The minigame begins when you mix and match these abilities to send your followers on missions to gain them experience, XP for your character, gold, items for your character, or even resources for your base. Once they hit 100, they can be augmented with better gear for more advanced missions and better rewards. And with it all in real time, you can come back to all kinds of goodies after being logged off for the night. This has taken the hero concept a bit further than Warcraft 3. Of course, you don't want anyone upstaging your character as the actual hero of this campaign. But the feeling of "You gotta collect them all" is definitely present. The hard part comes in the 20 active follower cap (25 if you upgrade your barracks to tier 3) and deciding which ones to keep active, level or deactivate. 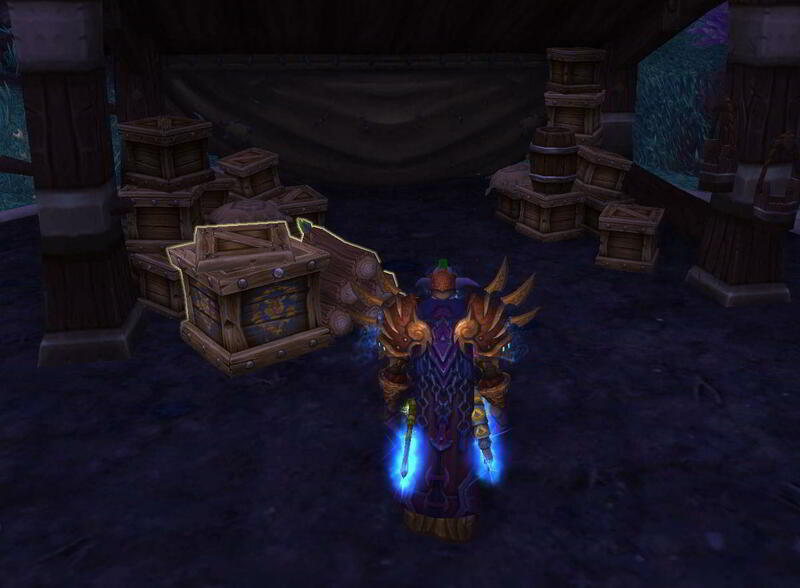 One hint: Have at least one or two followers with the Scavenger trait. Sending them on resource missions will triple your resource reward if they are successful. 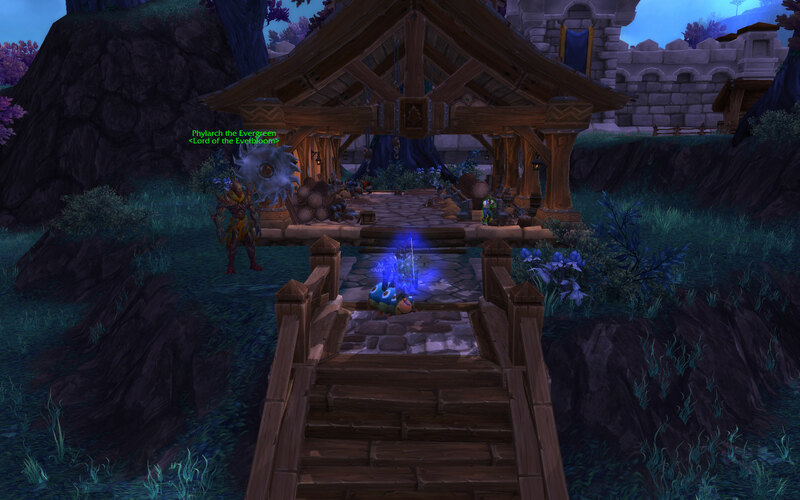 If you prefer to play the Warlords of Draenor in a vacuum as I did the beta and not look at any guides or forum discussions, then jumping into your garrison for the first time in the expansion will be a pleasant and welcome surprise for RTS players expecting the usual MMO mechanics. 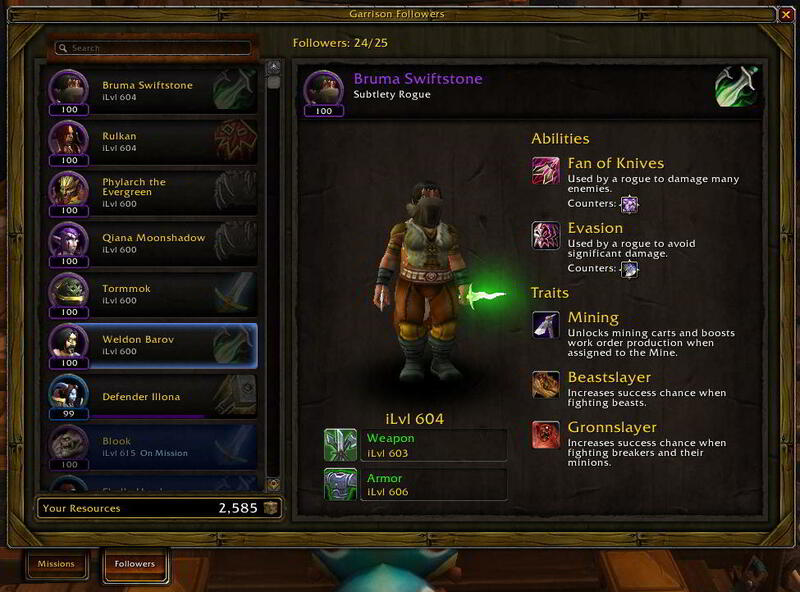 There are so many things to keep players busy in the game, and garrisons are just another layer Blizzard is adding to provide some variety to its stagnant player base. Offering players a Reese's Peanut Butter Cup by adding some RTS to their MMO is a nice diversion and should prove to be as enjoyable for RTS fans as adding pet battles was to Pokemon players.